Generally, people of western countries are considered civilized than the rest of the world. But, nearly 4700 years ago that is around 2700 BC, when people of Europe and America were leading a nomadic way of life the most advanced and magnificent urban Civilization flourished in India around the river Indus mainly centered in the cities Harappa and Mohenjodaro. 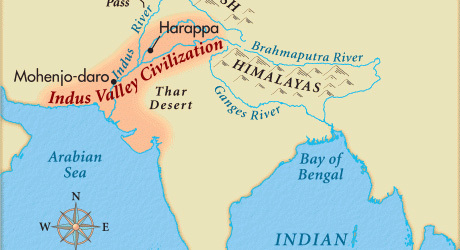 Thus, it was named THE INDUS VALLEY CIVILIZATION (or) HARAPPAN CIVILIZATION. In the year 1921, renowned archaeologist DAYA RAM SAHANI first excavated the ruins of the INDUS VALLEY CIVILIZATION in HARAPPA in Punjab state (Pakistan Punjab).The next year in 1922, MOHENJO DARO was excavated in the Sind region. Later on, nearly 14 cities of the Civilization were found around the Indus river and its tributaries. HARAPPAN CIVILIZATION was considered one of the earliest civilizations of the world. Based on the evidence found at the excavation sites, archaeologists assumed the following characteristics of the civilization. What came as a surprise to most of the people were the advanced techniques used in building the towns and well-planned structure and brick houses around 4000 years ago. Streets and lanes were built in rectangular blocks in a systematic manner. Standardized Burnt Bricks were used in building the houses. The under-ground drainage system connecting all the houses is the highlight of the Civilization. Buildings of the officials were constructed on one side and those of common people on the other side. Great bath in mohenjodaro where community baths were done. Food crops such as rice, wheat and barley were grown. Other crops such as dates, mustard, sesamum were also grown. INDUS VALLEY Civilization people were the first to grow cotton. The agricultural technology was well developed. Evidence of well irrigation and ruins of water dams were found. Animals reared were camels, oxen, sheep, goats, dogs, cats and so on. Other than farmers, artisans like goldsmiths, bronze-smiths, stone-makers, weavers, boat-builders and so on were also present in the Indus valley civilization. Trade with regions like Persia, Central Asia, Afghanistan was evident. But, coins were not found. The exchange of goods may have taken place. Harappan seals were made of soft stone and may have been used for sealing goods. Seals of different shapes such as rectangular, circular and cylindrical ones with the symbol of animal on them were found. These seals are considered as one of the great artistic creations of Harappan Civilization. The chief female deity was Goddess Earth represented in terracotta figurines and the male deity was PASUPATI MAHADEVA (SIVA). Evidence of animal and tree worship was found in Indus valley sites. Harappan glazed pottery was the first in the world and pots were painted in various colours. The Harappan people buried the dead persons outside the settlements. Wooden burials and pot burials were found in the sites. The Aryan invasion and destroying the cities may be the reason. Natural calamities like floods and droughts may have resulted in the destruction of the civilization. The outbreak of epidemic diseases killing many people there by fall of the civilization. Thus, the INDUS VALLEY CIVILIZATION, the earliest civilization of our country shows how advanced were the people of India in the ancient times. this is good website to collect information. and it is doing their work very well. 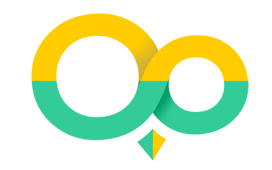 Very useful and awesome website for IAS preparations.. I am new in this field. Articles are very useful and easy to understand for me. I liked the method of giving point wise description in the article. I am feeling like I got The KHAJANA. The aryan invasion theory is false. It was just a strategy to devalue ancient indian history. is it’s enough sir? I mean studing this much is enough? There were also other civilizations at this time; for example Crete. The people of Crete and Thera were also trading with people inland during this time, and were ended by the eruption of the volcano on Thera that caused widespread destruction from the ash, and on the coastline tsunamis. There was an eruption around ~1500 BC. and if the ash travelled in that direction, it could also be what caused the decline of this civilization. There has been evidence found as far away as North America in the rings of trees dating to that time, that they were affected by the ash blocking the sun. This is just a suggestion, but I believe it could have been a contributing cause. thnx for the useful information. actually i want to attempt this examination in august . how i prepare as i can try the attempt in this minium time. I really doubt if we should call it Indus Valley Civilization anymore, as it’s expanse can be measured way beyond the banks of Indus river covering sizable part of northern india, pakistan . Rather latest excavations in southern india also point to similar planned urban settlements. More so, Aryan invasions seems to a imposed theory by the Britisher’s. If I had got such a material s in my time.i could have been iAS.